← What is BPA-free exactly? One of the most common claims against soy is that it causes hypothyroidism, an underactive thyroid state. Thyroid governs our tendency to gain or lose weight. The last thing we want added to our woes is an underactive thyroid, making it difficult to lose weight, so this is a big concern. In addition, there are reports that soy will lessen the effectiveness of any thyroid medication you are taking to overcome hypothyroidism. So let’s begin our soy exploration by looking at soy and the thyroid. You would think that there would be a ton of good information on the topic. Millions of people are eating—or not eating—soy foods daily. How hard can it be to gather some people from each group and measure their thyroid levels? Apparently, very hard. I did locate one study from a few years back that reviewed 14 human studies that in some way measured the effect of soy on thyroid. None of those 14 studies were perfectly designed. First, few were primarily designed to measure the effect of soy on thyroid function. Second, none tested the effect of tofu and other commonly eaten soy foods. Instead, all except one used a form of soy protein isolate. Nonetheless, the research is interesting because our notion that soy will cause hypothyroidism grew out of animal studies looking at soy protein isolates. Conclusion: All but one study showed that, in humans with iodine levels within the norm, soy did not have a negative effect on thyroid. In other words, if you have adequate amounts of iodine in your diet, soy will not cause your thyroid to malfunction. Most of us eat processed and/or fast foods and are getting plenty of iodized salt in our diet. (In fact, a Danish study recently found that we may be getting so much iodine that it is making us hypothyroid—but that is a study for another blog.) If you are following a traditional Asian diet that includes seaweed and fish, you also are getting enough iodine. On the other hand, if you are eating a low salt, whole foods diet and only seasoning with sea salt, you may want to double-check your iodine intake: A combination of low iodine and soy flavones can cause thyroid issues. The study also looked at the effect of soy on thyroid medications such as Levothyroxine. It seems that soy may affect the absorption of the medication. For adults, following the usual instructions (take the medication at least ½ hour before breakfast) should suffice to prevent a reduction in the absorption of the drug. But just to be on the safe side, the reviewers also recommend thyroid tests any time a person’s diet is changed to regularly include a lot more or a lot less soy food. (They do not think this is necessary if you once in a while eat more or less soy). All but one of the reviewed studies looked at the effect of soy protein isolates. That one study looked at 37 people eating about an ounce of roasted soybeans pickled and stored in rice vinegar. Although most thyroid hormone levels were unaffected, many very quickly developed goiters (15-71%), digestive issues (35-50% constipation or diarrhea), and malaise/sleepiness (42-53%). There was no control group and the test food was poorly described. The researchers could not explain the data showing goiters quickly developing in response to no more than 30 mg soy isoflavones in a Japanese population that typically eats at least 30-50 mg/day but has a very low incidence of goiter. They classified the study as an anomaly and I tend to agree. This entry was posted in chemicals, Food and tagged hypothyroid, levothyroxine, research, soy, soy protein isolates, soybean, thyroid, tofu. Bookmark the permalink. Good information Kathy – thank you! I’ll be very interested in what you find out about soy’s phytoestrogens. I am a moderate to high user of soy and take Syntroid and have a history of breast cancer in my family at my age (!). I hope to have that topic covered soon. My gut sense is that moderate use of soy, as a food, is fine as part of a healthy diet. As a result of taking your class, I now prefer soy milk over milk in my coffee. And I love to find reasons to eat tofu so I’m wondering: what is “moderate use” of soy in the daily or weekly diet? Just curious how much is too much. Hard to say. The one Japanese study on phytates in soy looked at people averaging 3 ounces a day. How much are you eating/drinking a day? It varies, of course. 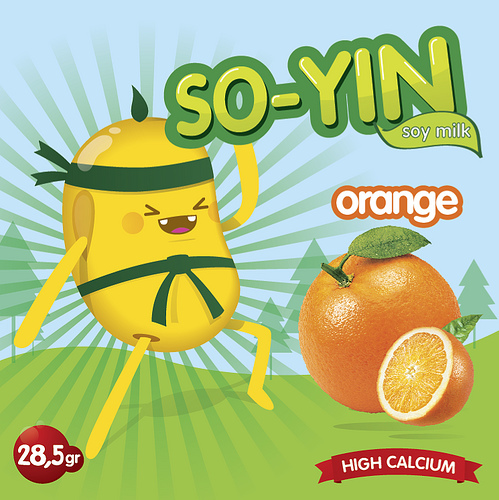 Over the course of a week I may have four soy lattes; “whitener” in seven cups of coffee; one tofu stirfry or other use with veggies; and four servings of soy snacks (soy nuts or soy crisps) with fruit. Not sure how that adds up. Underscores the importance of reading labels to make sure you are buying what you thought you were (e.g. soy milk), doesn’t it. No reflexion on the pros and cons of “real” soy milk though. I really wish your book “The Abascal Way” was available via Kindle! I am having a difficult time locating your first book. I have been on your “diet” for over a week and don’t even find myself hungry any more. I eat to live and not live to eat any longer! Some day we will get to a kindle book. In the mean time, there is only the one book set on the TQI diet and it is readily available. Glad to hear you are doing well!